My boys and I grew wonderful ingredients to make a pizza. When I think of mushrooms and basil, I think of a delicious pizza. 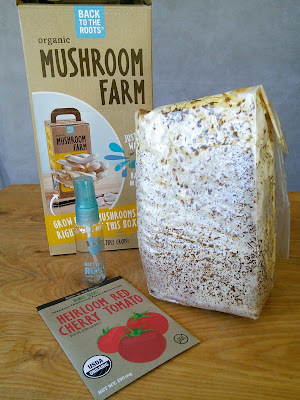 So when a company asked me if I wanted to grow my own mushrooms and basil at home, I said "yes!" I wanted to teach my boys where food comes from. Since we live in the desert, my boys don't have much experience with seeing food grow. So when our Mushroom Farm and Garden-in-a-Can arrived my boys were excited to know more about how this box and can were going to produce mushrooms and basil. They wanted mom to make a pizza. So when the mushroom farm arrived, we unboxed it and discovered a plastic bag filled with we presumed was dirt and white stuff. We also found a package of tomato seeds, even the company is thing pizza, and a small water bottle. 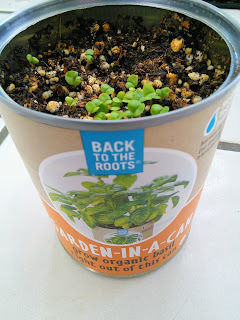 The basil kit was a can that had a pop off top and under that we found dirt and a small package of basil seeds. My boys and I read the instructions to see how to set everything up. My boys asked questions like "how do mushrooms grow?" and "how long will it take for the mushrooms and basil to grow?" I think they were anxious for everything to grow so they could eat pizza. 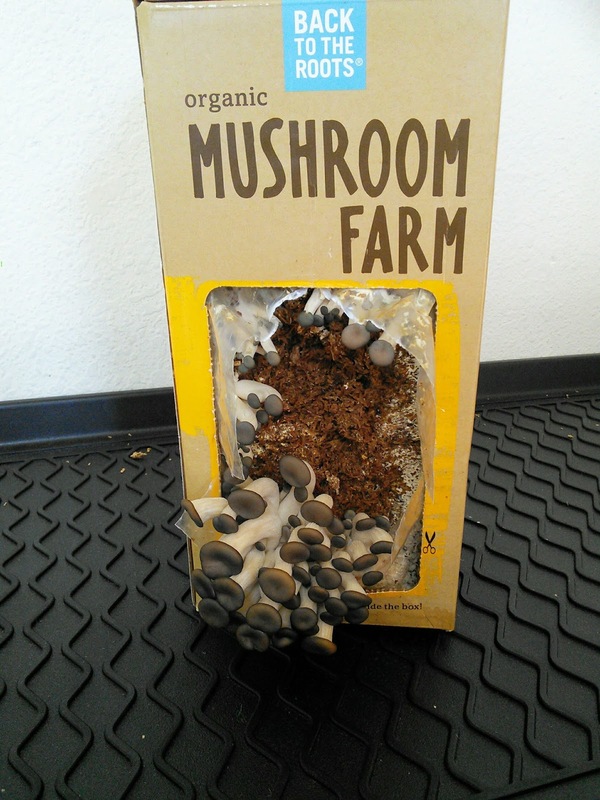 The instructions said the mushrooms could be ready to harvest in ten days. The basil would start to sprout in a week. My boys and I then prepped the mushroom farm by opening the box and cutting a section of the plastic. The mass in the plastic then had to soak in water for eight hours. 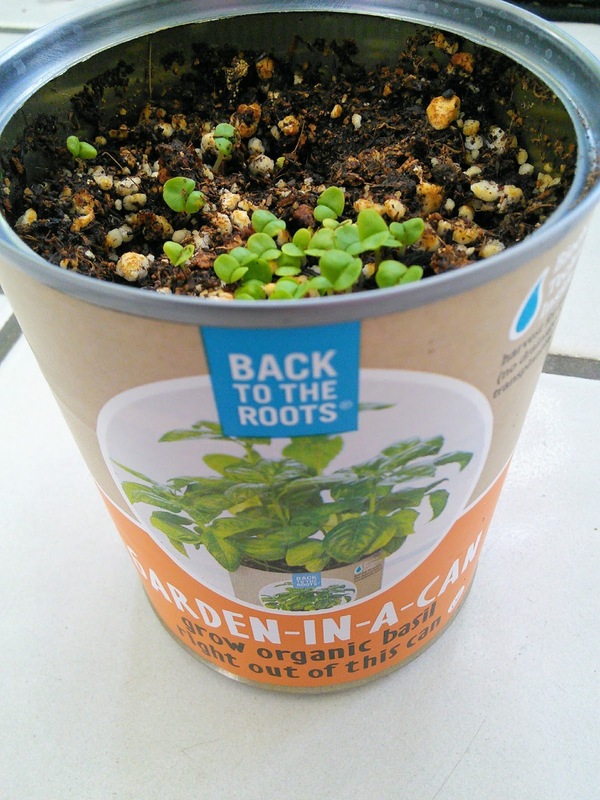 The basil in a can was simple to start. 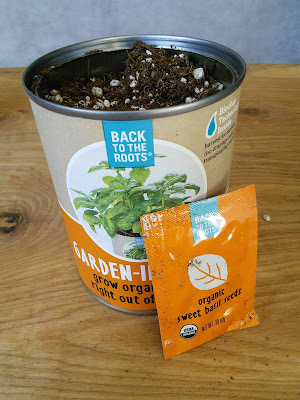 We opened the can and added some water and the seeds. The basil can then went on the windowsill. After the mushroom thing soaked, it was placed back into its box and placed in a corner by the window. I put my boys in charge of watering the items as I tend to forget to water plants. Plants don't make noise, like kids, when they are hungry. 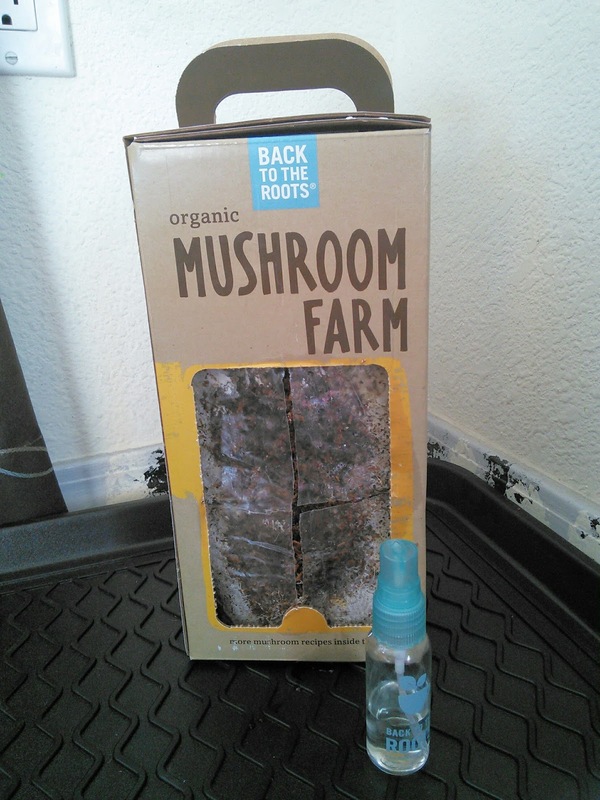 My son sprayed the mushroom farm twice a day with the included water sprayer and gave the basil some water too. After seven days, we began to see results. I was amazed that I grew mushrooms! The basil was even sprouting. It won't be long until we can harvest the mushrooms and basil for a pizza. The boys are counting the days down as according to the instructions, three more days and the mushrooms will be ready to use. I am hoping the basil will be ready too. 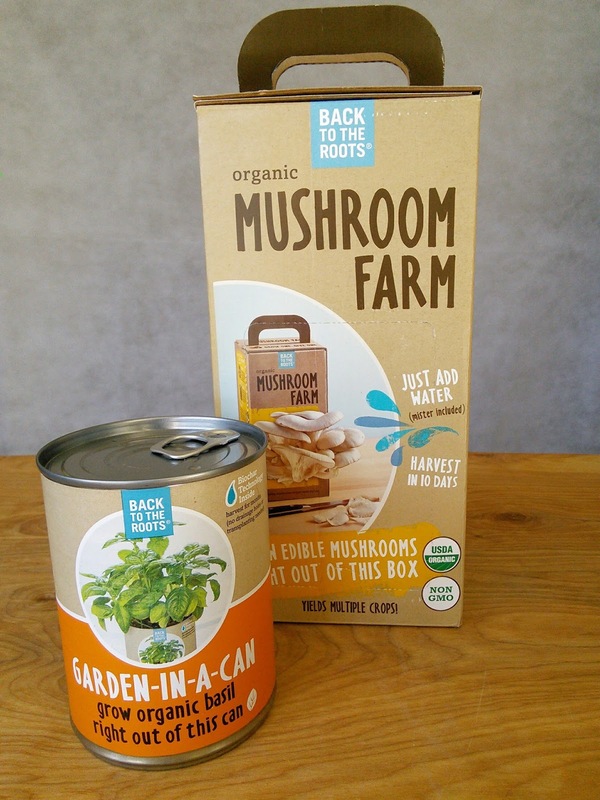 These cool Mushroom Farm and Garden-In-A-Can make great Christmas gifts. 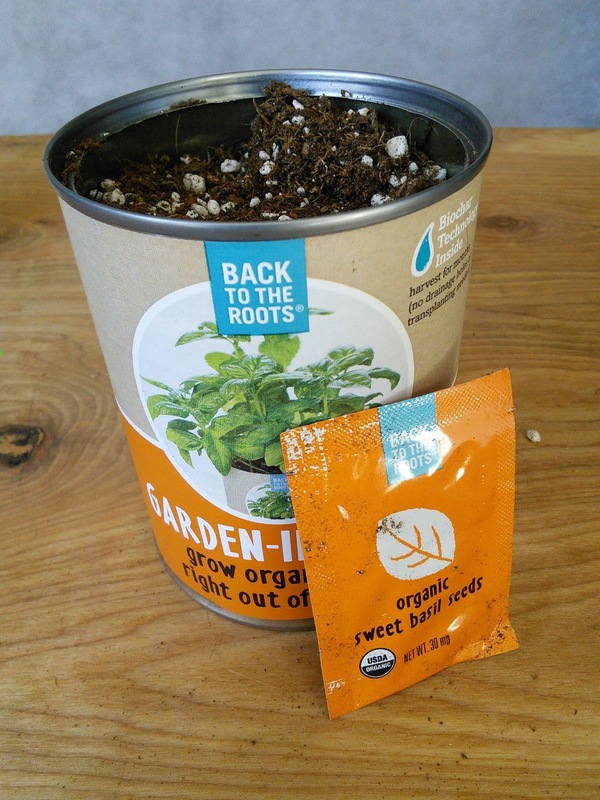 Back To The Roots has many other products that teach kids about growing food. Go check out their collections. I love their Grow One, Give One program. 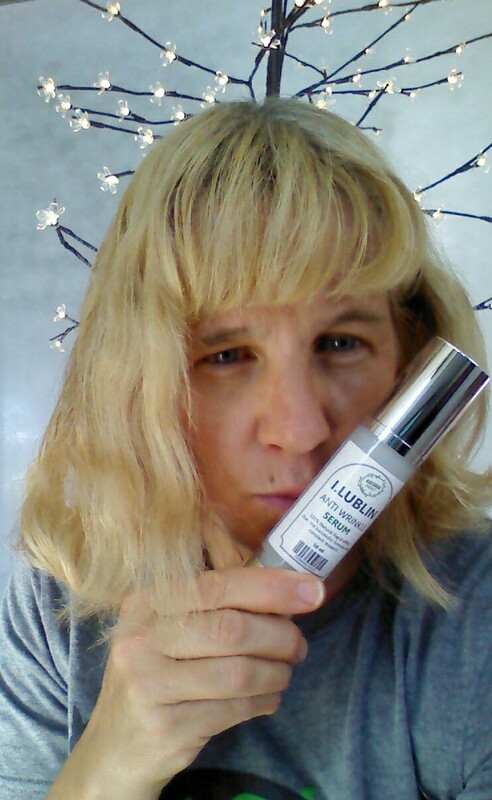 When you take a picture of your product and upload it to their website, they will donate the same item to a classroom of your choice. We are going to donate one to the gifted teacher at our school. This will make for a great lesson for the kids in the gifted class. 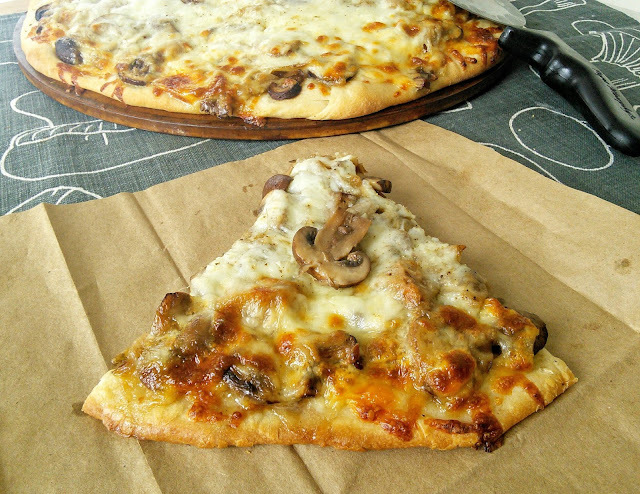 Check out my recipe for Wild Mushroom Pizza With Caramelized Onions! "These opinions are my own and I received a Mushroom Farm and a Garden-in-Can from Back To The Roots to facilitate this review." When life hands you lots of mushrooms- make pizza. 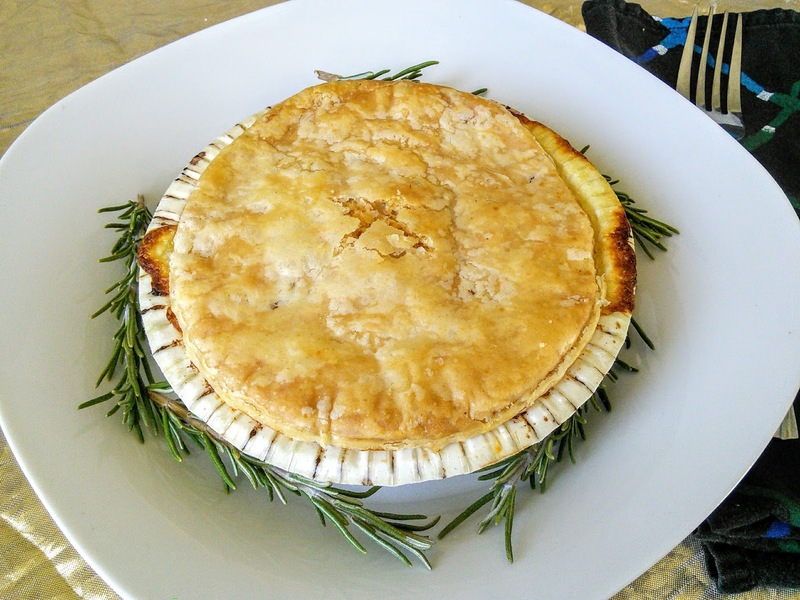 I had never cooked with oyster mushrooms before so I did my research on how to cook them. These tasty mushrooms are best sliced and sauteed in some oil as they need to be cooked. This brings out a nice flavor. If you just place them on the pizza without cooking them, they tend to dry out. So I cooked my mushrooms with the onions and then added some rosemary and the flavor was so good. I also added some other brown mushrooms as my kit only gave me a small amount of oyster mushroom. You can make your own pizza dough or buy some at the store. You can also experiment with other cheeses like fontina but I prefer mozzarella on my pizza. The cool thing about this mushroom kit is that it will sprout mushrooms again so I am hoping my next batch will yield more mushrooms so I can make my pizza next time with all oyster mushrooms. Heat the oil in a large skillet and add the onions and garlic. Cook the onions and garlic for about 10 minutes or until light brown. Then add the mushrooms and rosemary and cook for another 5 minutes or until the mushrooms are soft. Remove from heat and form your dough on your oiled pan. 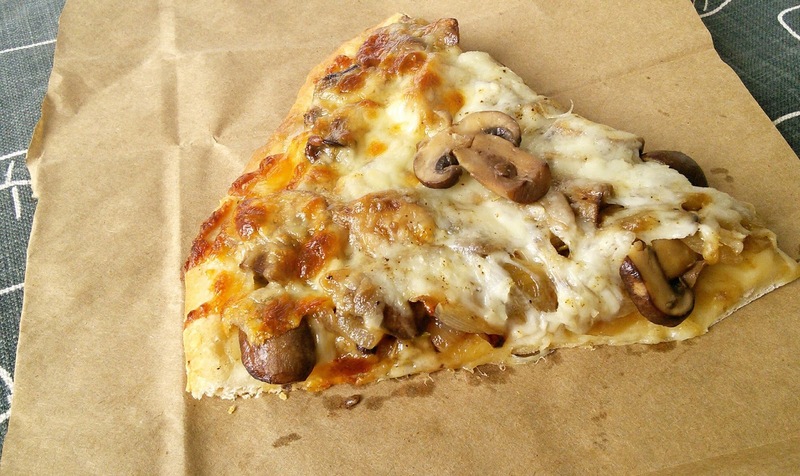 Spread the mushrooms and onions all over the crust. 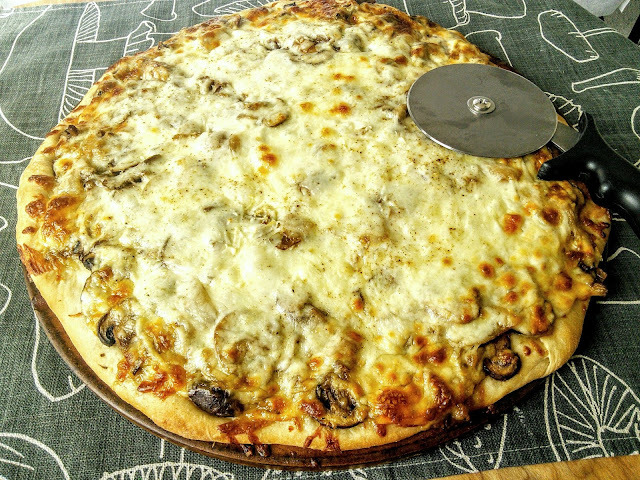 Be generous with the mushrooms and onions and spread them all over the dough. If no dough is showing that is good as this makes the pizza taste so good. Place the cheese on top of the mushroom mixture and sprinkle lightly with salt. The salt will help bring out the great flavor. Bake at 400 F for about 20-30 minutes or until cheese is melted. Combine all ingredients in a bowl and stir until dough forms a ball, adding more flour if needed. Knead on floured surface into a ball. Let dough rise in a warm place for an hour. Using your hands form the dough on an oiled stone or pan. The days are getting colder, the nights longer and by the time you’ve finished this article it’ll already be dark. In all honesty, the last thing you want to do is leave your cozy Netflix nest, put your trainers on and go outside. However, thanks to the following handy hints and tips you’ll soon be raring to head out into the fresh, frosty air feeling energized, alert and ready to take on the holidays! It may sound obvious but having the right gear can make all the difference as well as having a significant impact on your performance. The trick here is light layers that can easily be added/ removed in a breathable fabric such as polypropylene, followed by a few thin micro fleeces or wool jumpers which act as insulation. It’s vital in winter to eat, healthy well balanced and nourishing meals that’ll keep you going. Thanks to thermodynamics, hearty meals such as pasta bakes, shepherd’s pie, and bowls of steaming vegetable soup with crusty bread not only taste delicious but also warm up your inner core. A drop in temperature can be a bit of a shock to the system so start your warm up early by doing some jumping jacks, a light jog on the spot or even a few runs up, and down the stairs, indoors-any low-level aerobic exercise will do the trick! The best way to make sure that you stick to your workout plan? Grab a friend and do it together as many psychological studies have shown that social interaction increases motivation, plus who doesn’t love a good gossip while they’re pounding the pavements! We all know that having kids keeps you pretty busy so why not burn off all their extra energy at the same time as some good old calories? This time of year is perfect for nature walks, bonus points if you see a squirrel, football games or family bike rides. Of course, why not get into the winter spirit and take them ice skating? Winter also means cold and flu season, so it’s important that your body gets all the vitamins and minerals it needs to fight off those nasty viruses. By taking natural herbal supplements like Echinacea you can help reduce symptoms, boost your immune system and, if taken early, it can lessen the severity of a cold or flu. However, if you do get sick don’t panic as often a quick trip to the doctor can sort out any health queries or questions. Ideal for busy moms, the GetDoc app means you can make an appointment on the go via their user-friendly, secure booking system that lists both doctors and clinics nearby, as well as any specialty department you may need. Don’t stress if you find you are exercising less often than you did in the summer. Aim to do some form of aerobic exercise three times a week, but if you only manage two days at the same intensity and time, then that’s absolutely fine. The weather is getting cooler outside and the days are growing shorter, for my family that means more time is spent inside. I am not a cold weather person and I dread the change of seasons. The colder weather brings not only coldness but also less sun. It seems to get dark too early so that means less time to play outside. The cold days are perfect for baking bread. Since I am stuck inside, I like to use my time baking bread. Baking bread gives the house a great scent and the warmth from the oven makes the house feel warmer. Homemade bread also tastes so good, way better than that bread wrapped in plastic that you get from the store. My husband loves when I bake bread because I tend to bake other things since the oven has to be on for a long time. Baking bread also means that my husband will get a dinner that is baked in the oven. 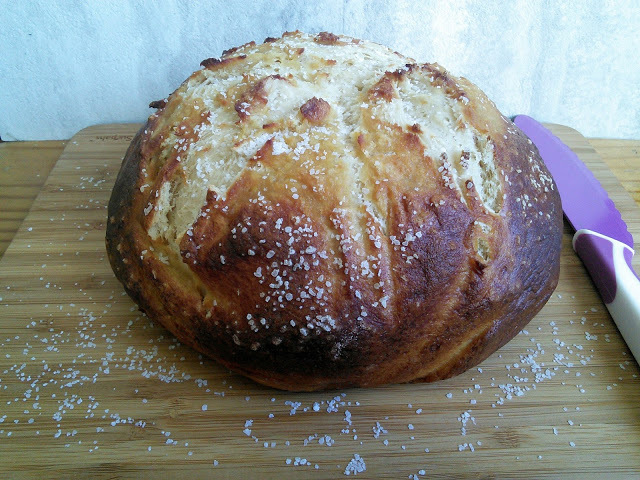 This past week the weather was cooler, so I decided to bake a loaf of my pretzel bread. When I was kneading the bread, I thought about what I could make for dinner. I remembered that I had some Turkey Pot Pies in the freezer that would go great with my warm pretzel bread. 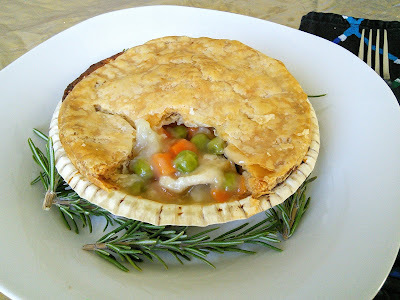 Now these pot pies are the good kind, not like the ones I had as a child that tasted like the box they came in. The turkey pot pies that were going into the oven with my homemade bread are made by Blake's. This company uses only the finest organic and all-natural ingredients and makes their pies from scratch like my bread. They have wonderful people who fill these flaky crust pies with hormone-free and antibiotic free meat and garden vegetables. I will gladly let my family eat turkey when it has none of the nasty hormones and antibiotics. The homemade bread and turkey pot pie fill the house with a nice aroma. My husband comes home from work and says "it smells so good in here, when do we eat?" My husband is happy that it was a cold day. He loves when I bake bread and cook a delicious turkey pot pie. I bought my turkey pot pie at Sprouts. 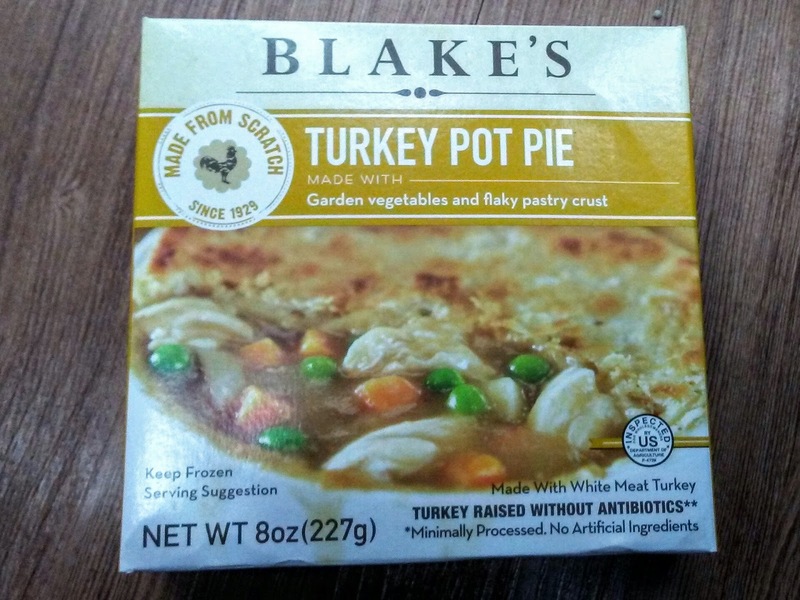 Blake's also makes beef pot pies and other natural meals. Just look at all the stores that carry Blake's products. Blake’s meals, including Blake’s Turkey Pot Pie and Beef Pot Pie are available at: Target, Walmart, Whole Foods Market, Sprouts, Meijer, Publix, The Fresh Market, Kroger, Natural Grocers, Earth Fare, Fresh Thyme, Raley’s, Winco, Ralph’s, Harris Teeter, Hyvee, HEB, Jewel, Hannaford, Shaw’s, Market Basket, along with many Natural Food Stores & Coops. 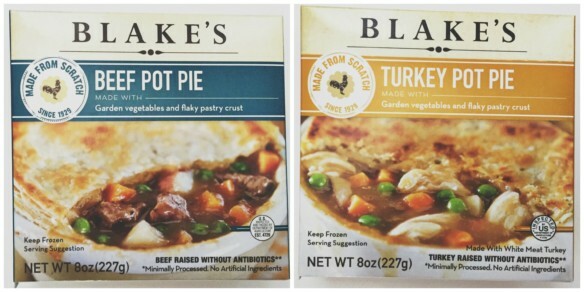 Meijer and Publix carry only Blake’s Turkey Pot Pie and Beef Pot Pie. 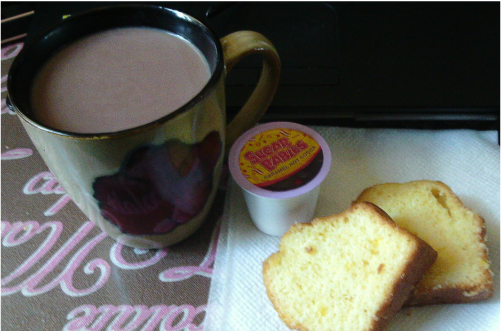 Today's Friday Freebie at Smiths and Kroger stores is so delicious! 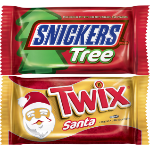 Free Snickers Tree or Twix Santa Singles Receive ONE (1) FREE Snickers Tree (1.1 oz.) or Twix Santa Singles (1.06 oz.). Available in most stores. This Friday, November 25th, 2016 – ONLY, you can load a coupon to your Kroger (or Affiliate) Plus Card for oneFree Snickers Tree or Twix Santa Singles. Also, Smiths is Decking the Halls with deals through December 19th. 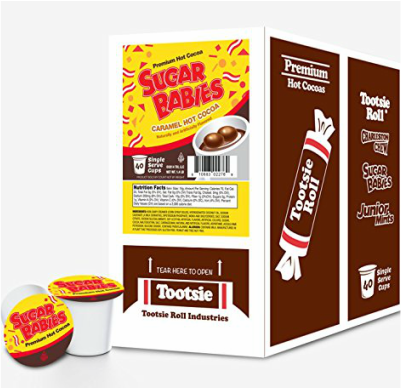 Every day there will be New digital coupons, recipes & more! 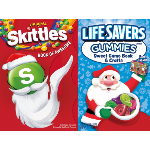 Today you can download a coupon for a free WRIGLEY SKITTLES®, STARBURST® OR LIFESAVER® STORYBOOK* which expires Exp 12/09/2016. Eating tasty food is a simple luxury in life. Nothing beats visiting new restaurants and trying some exquisite gourmet food. But how often do you cook for yourself? While going out to eat is great, making your own delicious food is even more rewarding. It isn’t too hard either- you’ll be surprised at the kind of meals you can make with a little practice. Some people shirk cooking for themselves because they think it’s too hard, or they don’t enjoy it. But there are many ways to make cooking easy and change up the experience. Here are some of the best ways to get more fun out of cooking. If you want to learn how to make something new, then check out cooking classes in your area. You can find classes for all kinds of things. Whether you want to bake and decorate cakes or make some fantastic vegetarian meals, there’s a class for you. You don’t have to go to classes long-term. There are many cheap one-night classes available. You can go on your own or with friends. Many couples go to a cooking class for a unique date night idea. You could even make it extra fun by going on a cooking school vacation! Sometimes all it takes to have fun with cooking is getting some new kitchen equipment. When you have new cooking devices, you’ll be raring to try them out. For example, those who love baking could try a breadmaker. There are plenty on the market, such as some of the best Zojirushi bread machines. They’re not just great for making bread. You can make all kinds of doughy treats, from donuts to pretzels! Instead of your morning coffee, get a blender and start making fruit smoothies. It’s a delicious way to get an energy boost. There are all kinds of ways to spruce up your kitchen and cook in a different way. Get some new cooking gear and enjoy it! One of the best ways to get inspired with cooking is to find new recipes. Sometimes all it takes to enjoy cooking is making a meal you never thought you could. Once you have the ingredients and instructions, you’ll be surprised at what you’re capable of making. You may have some cookbooks lying around, but the internet is also a great resource for recipes. You might want to look at healthy recipe sites for dinner ideas. Or perhaps you’d like to try creating a Death by Chocolate Trifle for dessert. It’s not the only way to find recipes. You could even ask friends or family to teach you how to make their signature dish. With so many foods to try making, you’ll never get bored! While cooking for yourself is practical and rewarding, you can have even more fun by showing your cooking skills off. You might want to have some friends over for a dinner party. This way you can show off your new recipes to more people. You could also show off your cooking skills for date night instead of going out. Parties aren’t the only occasion where preparing food is handy. Being able to make fantastic meals will impress any date, so it’s always a useful skill to have! Aging is a complex and fascinating process, filled with ups and downs, taking on many different forms and affecting many different facets of our lives; physically, emotionally, and spiritually. Of course, though you may be getting wiser and more experienced as the years go by, there are probably going to be a few aspects of aging you’re not all that happy about. Don’t think that this is just an inexorable part of it that you can’t do anything about! There are many things we can do to make sure we age both naturally and gracefully. Here’s a guide to making sure you have the best possible experience in your later years. There’s a time in everyone’s life where they discover, usually quite out of the blue, that they’re not as young as they used to be. The point where this occurs varies from person to person, and the reasons behind it can be as unique as the person. Aging is a very complex process, involving the behavior of the body’s cells at a molecular level. The balance between your cells’ ability to renew themselves, and the natural process of their death, drives the process of aging in everyone. DNA governs our cells, and helps them to manage the various systems that make our bodies tick. The lifecycle of an individual cell is dependent on a certain part of our DNA called a telomere. It’s easy to understand these by thinking of them as the plastic tip around a shoelace. The longer the telomere, the more frequently it can divide and remain youthful. However, every time it divides the telomere shrinks, and gradually loses its ability to regenerate and repair itself, until it eventually disappears. This process causes cells to become deficient and defective, which is what causes biological aging to become apparent in the body. 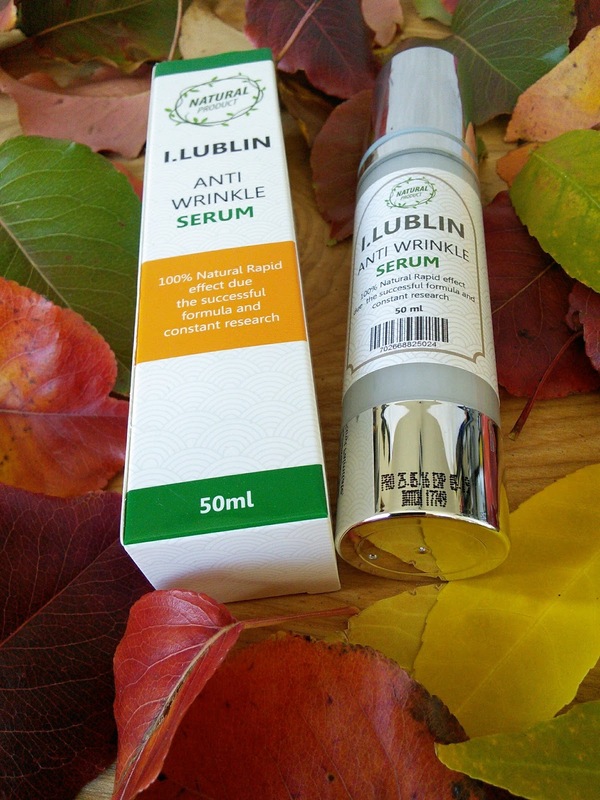 Can We Slow Down the Aging Process? This is something that countless people wonder as they move out of middle age, and start to notice more lines in their face and more grays in their hair. 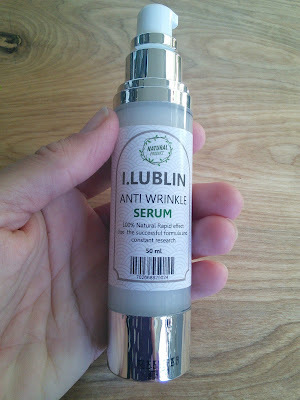 While we can’t stop the aging process (and let’s be honest would you really want to?) we can certainly take steps to slow it down, and keep ourselves healthier for longer. There have been countless studies which have shown that various simple lifestyle changes can increase telomere length, ensuring that our cells stay healthier for longer. Even taking a daily multivitamin can make your telomeres 5.1% longer than those who don’t, according to one study by the American Journal of Clinical Nutrition. Vitamin D levels have been found to have a huge impact on our telomere length, and taking supplements or simply making sure you get enough exposure to the sun can have a huge, positive impact on our aging process. Vitamin K has also been found to offset various signs of aging, and reduce the chances of diseases like osteoporosis. There are more than 40 different vitamins, minerals, proteins and fatty acids which mesh well with our genes and prolong health. It’s easy enough to go out and stock up on all the vitamins and supplements you could need to stay young and healthy. However, the best way of assuring you age gracefully is making the right changes to your diet. Low consumption of meats, moderate consumption of alcohol (notably red wine) and high consumption of nuts, legumes, fruits and vegetables and olive oil are all great for slowing the effects of aging through your diet. Aside from that, it will also stave off the various illnesses and diseases we become more susceptible to as we age. Remember that the more our cells receive from our nutrition and lifestyle choices, the more they respond, and the less likely we are to contract conditions we’re predisposed to in our genetic makeup. This can be one more motivator if you have some kind of genetic predisposition that runs in your family. You’ve probably seen at least a little in the media about various celebrities who have been using bioidentical hormones to prevent aging. As positive as the mainstream reports may sound, I’d keep away from these kinds of solutions for the time being. There’s been a lot of controversy about hormonal methods. This mainly stems from the fact that we don’t know enough about the long-term effects of any kind of hormone, bioidentical, synthetic or otherwise, as a way to stave off the signs of aging. Another popular treatment that’s been gaining more and more attention in various health journals has been resveratrol. This is a natural antioxidant found in various plants, most notably the skins and seeds of red grapes. Experiments in the early noughties found that this compound could extend the natural lifespan of yeast and fruit flies. Various other experiments are being carried out on other organisms, though there’s no definite answer as to what its effects will be in humans. The theory is that resveratrol could reduce our risk for diseases related to aging, though not necessarily halt the aging process altogether. If it’s found to be safe for humans, it could have applications for improving our cardiovascular health, constraining cancerous cells, maintaining a healthy metabolism and staving off various neurological disorders. Calorie restriction is another treatment which has been at the center of debates for some time now. However, if people aren’t able to commit to calorie restriction regimens successfully, it can really come back to bite them. When people go on and off their diets erratically, rather than making positive lifestyle choices and sticking to them, it can lead to shorter telomeres, rather than longer ones. The psychological stress of slipping in and out of your diets alone can be seriously bad for the body. 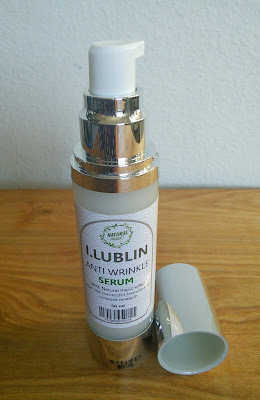 Although I can’t recommend any of these treatments with a clear conscience, there’s definitely potential, and I recommend keeping tabs on these and other anti-aging methods to see how the research pans out. - Pin down the sources of chronic stress in your life and try to eliminate or at least mitigate these. Stress, despite what some people may think, is a very physical problem, rather than purely psychological. It can make inflammation worse, and contributes to the everyday wear and tear our muscles take on a regular basis. Yoga, of course, is one of my favorite ways to unwind and make life that much easier to handle. Massage and meditation can also be good solutions for some people. If you’re getting on in your years and looking into assisted living, then check out centers with a strong emphasis on exercise and reducing stress, such as McKnight Place. - Review your diet, and cut out any foods that have been linked with cancer and faster aging. Start eating a balanced diet full of antioxidants, and low in refined carbs, processed foods, and unhealthy fats. - Quit smoking, excessive drinking, or any other vices that have been proven to be harmful, whether physically or psychologically. - Give your cells the signals they need, with fruits, vegetables, legumes, unrefined grains and healthy oils. The way the cells in your body react to a cake or burger are very different to the way they react to a plate of greens in olive oil! - Start taking high-quality vitamins. Omega 3 supplements, vitamin D and multivitamin pills are all worth looking into. You may also want to go to your physician or nutritionist and ask them if there’s any essential nutrients or vitamins that you should be getting more of. - Cut down on exercises that make you feel drained, and find something that makes you feel replenished and energetic instead. Exercise is essential to our all-round health, but if you’re getting it in in a way that you dread it may end up doing more harm than good. If you’re not exercising on a regular basis already, then this needs to change if you want to look and feel as young as possible. It only takes a little motivation to get started, and before long it will become a habit which you can’t do without! If you were worried about the signs of aging, I hope this guide has offered some reassurance and guidance. Just remember that aging will happen no matter what you do, and resenting everything about it is just a waste of energy!